Complete with extremely quiet, soft whisper wheels the Smoby Baby Balade Trike (Rose coloured) can be transformed as your little on gets bigger. Suitable from 10 months old, the trike can be pushed directly from the via the push handle in a safe environment with the removable footrest, safety bar and canopy. The trike can then be transformed as your most cherished becomes able to utilise the full self-pedal, self-steer vehicle (with adjustable seat and handlebars) on their own without grown up assistance. 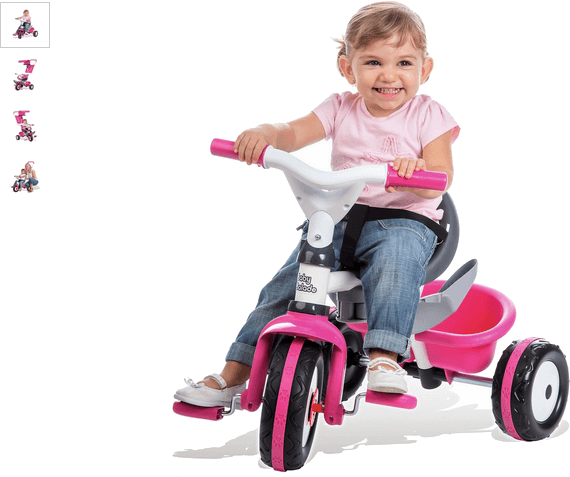 Get money off with April 2019 free Argos voucher codes, see if there's a promo code for the Smoby Baby Balade Trike - Rose product. Argos may be out of stock of this product. To enhance your shopping experience you may also be redirected to a search results page when you click an outbound link.